CUPE members and their families celebrated Labour Day at the Pacific National Exhibition on September 3, joining a rally attended by Premier John Horgan and Minister of Labour Harry Bains. 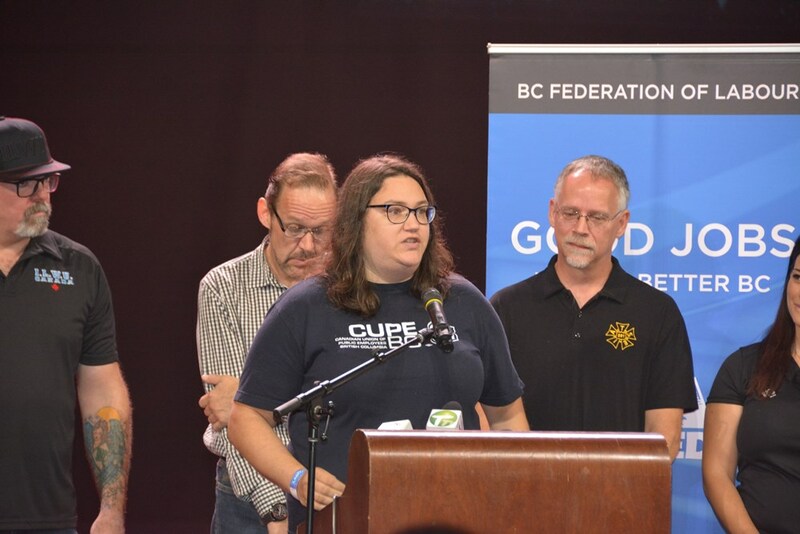 CUPE BC General Vice-President Karen Ranalletta brought greetings on behalf of President Paul Faoro, the executive board, and CUPE’s 92,000 members across B.C. Ranalletta, thanked CUPE members “who deliver public services that make our communities safer, stronger, and more inclusive” working in libraries, universities, colleges, community social services, emergency services, airlines, health care, transportation, municipalities and K-12. She also gave a shout-out to Local 1004 members who work at the PNE. Bains said the importance of Labour Day should never be forgotten. The crowd gave a warm and heartfelt welcome to Premier Horgan, who thanked the Labour Minister for his work on behalf of British Columbians and acknowledged that almost the entire caucus was in attendance. Horgan, describing the powerful impact of working to make things better for all people, shared the story of a young couple he met on the campaign trail last year. The couple recently had a healthy baby girl and now save $1,000 every month on childcare, which means they can afford to pay their mortgage and stay in B.C. “I want to thank each and every one of you who work in the public sector and private sector each and every day to make this province so great,” said Horgan, adding a special thanks to CUPE members who support the B.C. public schools that reopened this week. Visit the CUPE BC gallery to view photos.